Tamaques Elementary School, located in Westfield, NJ, is a place for students to grow and learn. In past years, the school has provided gardens for outdoor learning. Outdoor learning is a way to connect children with the environment and nature. 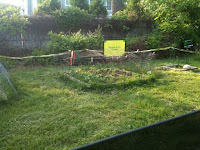 The garden had previously been maintained by both the kindergarten class and their teacher. Today Tamaques’ grade levels no longer include Kindergarten. 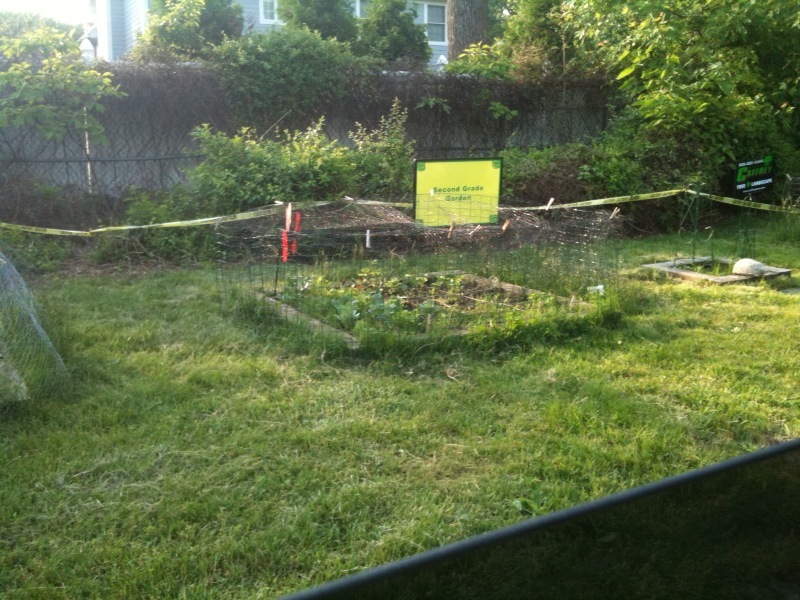 Furthermore, due to the unfortunate passing of the school’s Kindergarten teacher the garden has been since ignored. Westfield resident and involved PTO Mom, Sandy Ciasco, has taken a proactive approach towards the revamping of the school’s garden in order to continue with its original initiative. A mother of two, Ciasco’s daughter is a 1st grade student at Tamaques. Her goal is to transform the area into a butterfly garden exhibit. The up-and-coming school garden also parallels this year’s Westfield in Bloom’s theme to ‘attract the butterflies’. During school lessons first grade students learn about butterfly life cycles and have the opportunity to actually grow them from larva. Students brought in egg cartons and were able to observe the entire cycle. By motivating other town parents, Ciasco was determined to bring the garden back to life so these lessons can be held where they should be: outdoors. The determined Mother put her green thumb to work by spending countless hours weeding, mulching, planting, and watering. Combined efforts of other volunteers brought in plants, seeds, and mulch. 90 yogurt cups of seeds were planted. With the lack of rain weather only five of those cups were a success. Determined, Ciasco and her team haven’t given up. Aside from the butterfly garden (which is mainly dedicated to first graders), a vegetable garden is also being planted for second grade educational purposes. Projects to continue gardening and planting are currently in progress. The community’s involvement has sparked excitement throughout Tamaques School. The Principal at Tamaques School is equally as involved. He personally bought mulch and seeds for the school’s gardens. Ciasco herself bought 14 bags of soil. Tamaques Principal is seeing these initiatives to their full potential. Proposed and fully supported by the Principal, fundraising for an outdoor class to begin next year is currently underway. The class would be primarily for 4th and 5th grade students as an elective class. It is the work of volunteers like Sandy Ciasco that keeps Westfield blooming. Thank you Mrs. Ciasco for sharing with us your inspiring story! Flowers and Flags to welcome you to Westfield!